Deputy Prime Minister Prawit Wongsuwon on Thursday declined to be drawn into the affairs of a new political outfit, the Thai Raksa Chart Party, in which children of politicians close to the Shinawatra family have assumed key posts. Gen Prawit said it was good to see young people show interest in politics but had nothing more to say when asked about their affiliations with former fugitive prime minister Thaksin Shinawatra and his sister, Yingluck. Key members of the Thai Raksa Chart Party include Rupob Shinawatra; son of Thaksin's brother, Phayap; and Chayika Wongnapachan, daughter of Yaowaret Shinawatra, Thaksin's sister. Thai Raksa Chart has officially registered the party's English name with the Election Commission as "Thai Safe the Nation Party". 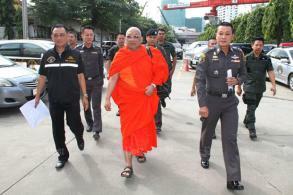 Gen Prawit was commander of the Royal Thai Army in 2004-2005, when Thaksin was prime minister. Children of politicians close to Yingluck who joined the new party included Ton na Ranong, son of former finance minister Kittirat na Ranong, and Patchara Naripthaphan, son of former energy minister Pichai Naripthaphan. "What am I supposed to do? They're interested in politics. Are they proxies? 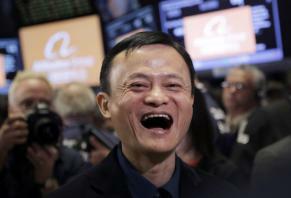 You should figure it for yourself," he said when asked about their ties with Thaksin and Yingluck. 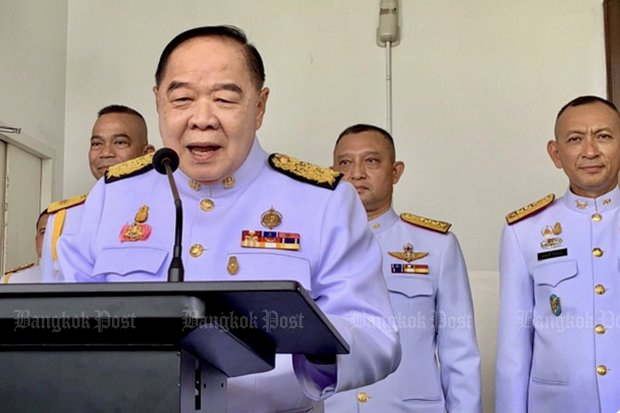 Gen Prawit, who is in charge of security affairs, said authorities are monitoring the political situation as parties make preparations for the upcoming polls across the country. He insisted the regime does not target any party in particular. Meanwhile, DJ and TV host Kachapa "Mod Dum" Tancharoen has been approached to help the Thai Raksa Chart Party, a party source said. Kachapa, son of veteran politician, Suchart Tancharoen, has been invited by Panthongtae "Oak" Shinawatra to help the party woo support from the LGBT (Lesbian, Gay, Bisexual and Transgender) community, said the source. Kachapa and Mr Panthongtae are said to be long-time friends and the latter is reportedly interested in joining the Thai Raksa Chart Party. Sira Pimklang, leader of the Pheun Thai Party and a red-shirt leader, warned politicians Thursday that those who switched to the Thai Raksa Chart Party could be used as stepping stones. He said the new party is designed to capture "loser votes" under the new election method, so the constituency candidates gain nothing from this strategy. According to Mr Sira, the party appears to be focused on children of high-profile politicians and excludes offspring of red-shirt supporters. In another development, Pheu Thai spokeswoman Ladawan Wongsriwong said the country would stand to lose if it shut the door to foreign poll observers. She was responding to Foreign Minister Don Pramudwinai's remark that he did not believe the general election should be supervised by international bodies. 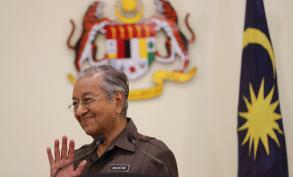 She said the presence of foreign observers would boost transparency and increase the international community's confidence in a future government. Ittiporn Boonpracong, chairman of the Election Commission (EC), said the EC would make a decision on the matter in the next two weeks.